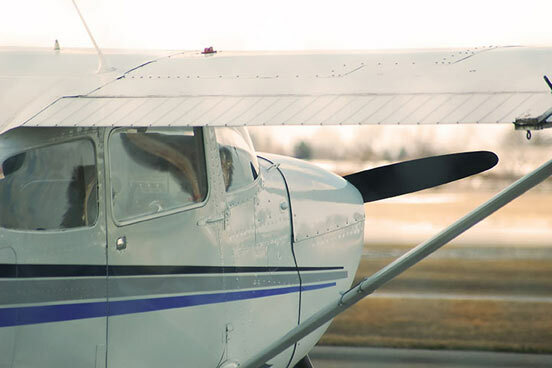 Take to the sky for your first flying lesson at some of the friendliest flying clubs in the country. You can take the controls yourself and discover the absolute freedom of the sky. Your 45 minute flying lesson begins with a pre-flight briefing with your instructor. They will talk you through the effects of an aircraft's controls and what you will be doing during your first trial flying lesson. Then it's time to walk out to the aircraft where you will be taken on a "walk round" to see the main control surfaces of the aircraft. Your instructor will do the take off, and then will demonstrate some basic manoeuvres before it's your turn! Then you can experience for yourself the sheer exhilaration of flying. Your 45 minute lesson includes take off and landing. Monday to Sunday, all year. It'll just be you and the instructor. You're welcome to bring family and friends along to watch you take to the sky. Take to the sky and experience a thrilling aerial adventure like never before with an incredible 60 Minute Microlight Flight. Microlighting perfectly captures the spirit of early aviation - pioneering, thrilling and a touch eccentric. These quirky little aircrafts, with their panoramic views from the cockpit, are ideal for short trips over the countryside. 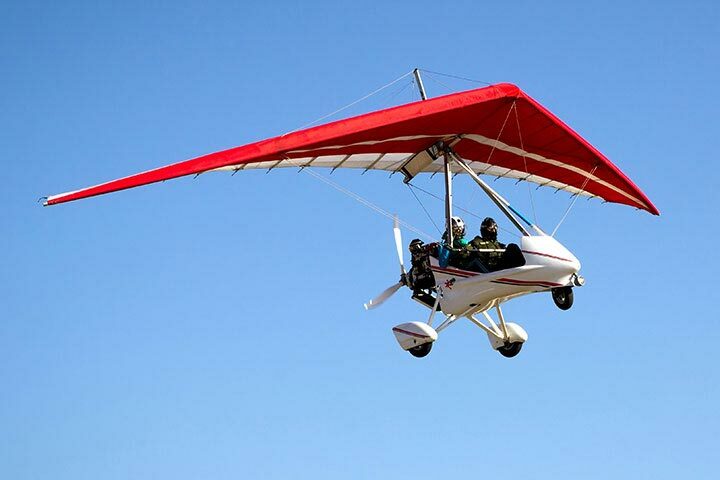 Flying a microlight is the perfect treat on a fine summer's day. To start the day you will be given a detailed safety briefing from your instructor, which includes how to use the microlight's dual controls, how to enter the microlight safely and all pre-take off checks. 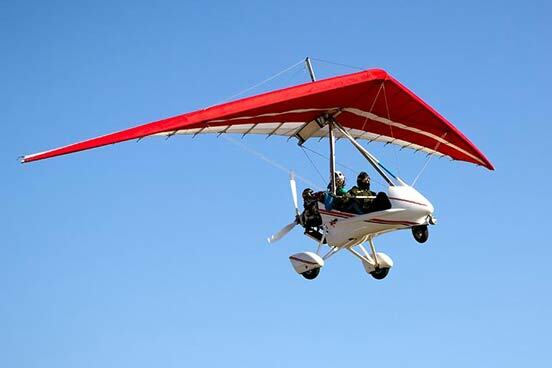 You then take to the sky, climbing up to 1,500 feet above ground level in a flex-wing (open cockpit) or fixed wing (closed cockpit - similar to a mini plane) aircraft (please state preference at time of booking). The instructor will demonstrate the controls and then, if the instructor is happy, control of the microlight will be passed to you. Selected Monday to Sunday dates (depending on location), throughout the year. Your total experience will last for approximately 1½ hours, with 60 minutes in the microlight. Maximum weight 89-114kg (14-18st) depending on the location. Max height 1.93m. This may not suitable if you suffer from epilepsy, fits, severe head injuries, recurrent fainting, giddiness or blackouts, high blood pressure, heart disease or diabetes. It'll be just you and the pilot. 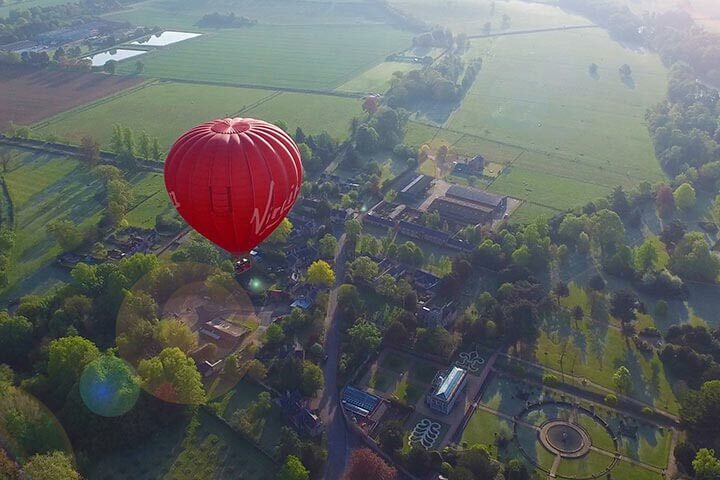 Experience an aerial adventure like never before with an incredible Sunrise Champagne Balloon Flight. 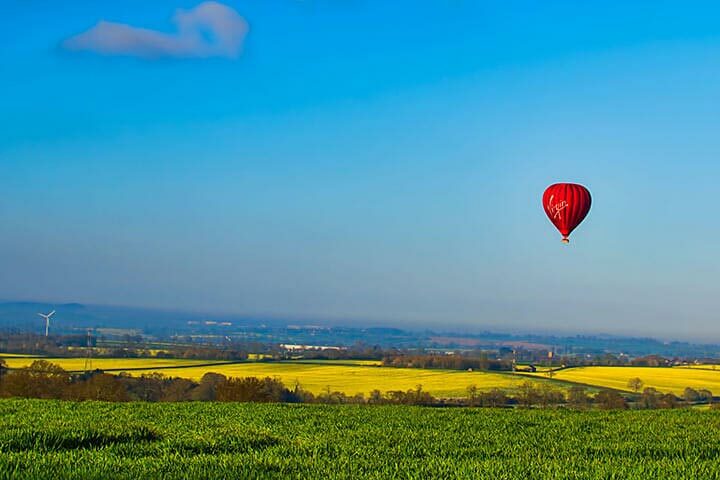 Nothing quite compares to the peaceful serenity of hot air ballooning. You gaze down over the landscape below, the fields, hedgerows and villages dappled in the soft morning sunshine. As you bask in the magical silence, you’ll float high above the ground and then drop low enough to skim the treetops. It's a perfect way to see the world from a completely fresh perspective and with someone special. Your fabulous experience will begin by helping to inflate the balloon. Then you’ll climb into the basket and prepare to take-off for an hour's flight where you’ll see the world below sliding slowly by. 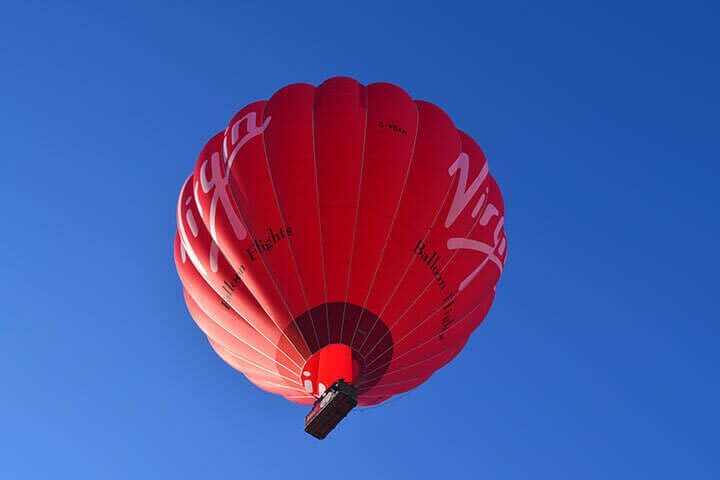 After your flight and you are safely back on the ground, you will toast this momentous occasion with a glass of champagne and receive a flight certificate signed by your pilot and Sir Richard Branson. *Please note, locations are subject to change. Monday to Friday mornings depending on location, April to October. Your flight will last approximately 45 minutes to an hour but allow 3 hours in total. The minimum age is 7, under 16's will need to be accompanied by an adult.